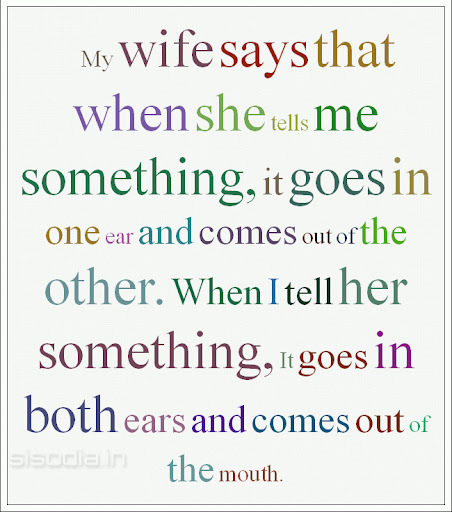 Quotes Find: My wife says that when she tells me something, it goes in one ear and comes out of the other. When I tell her something, It goes in both ears and comes out of the mouth. 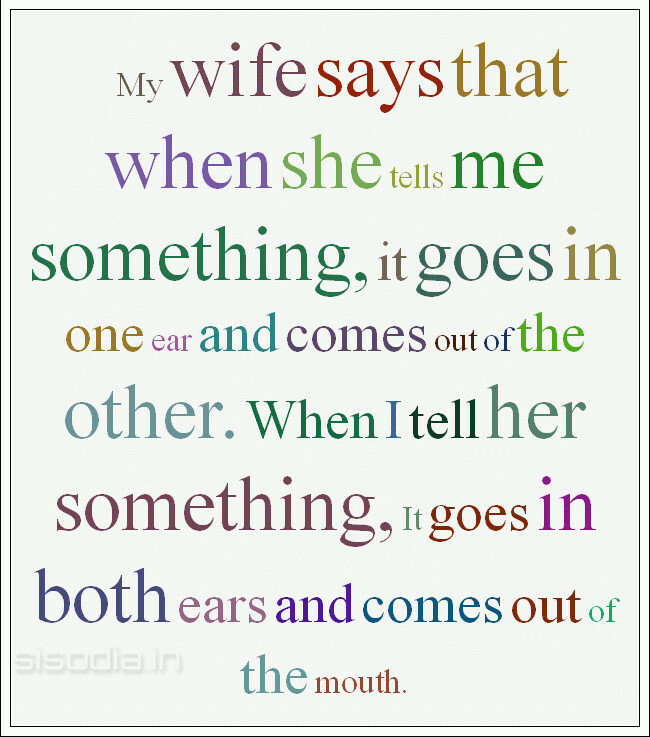 My wife says that when she tells me something, it goes in one ear and comes out of the other. When I tell her something, It goes in both ears and comes out of the mouth.